The diagram below shows the development of the fractal Koch Snowflake. 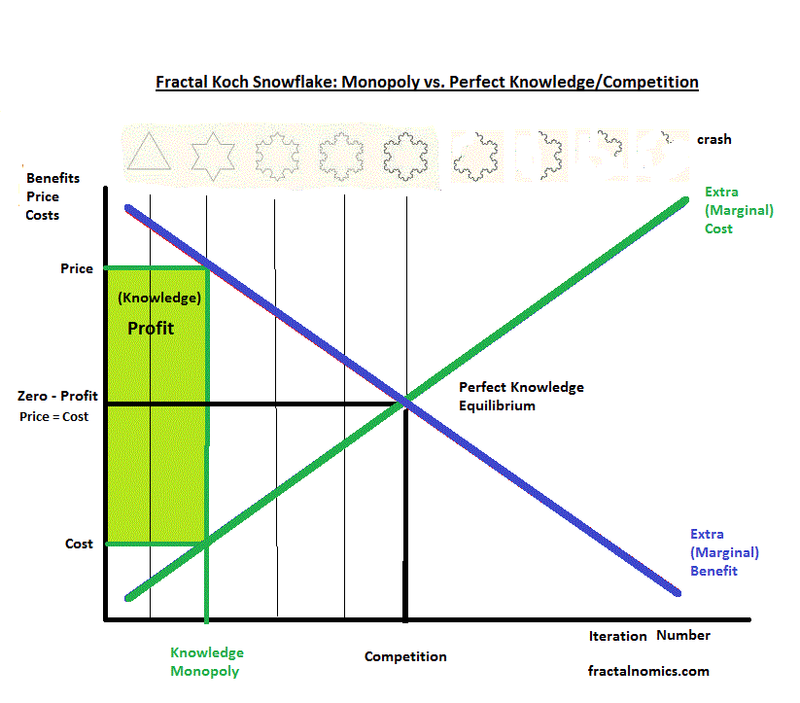 Shape equilibrium (Perfect Knowledge) - but not absolute information as the fractal is infinite in detail or size - is reached at iteration 4 - where marginal benefit is equal to marginal cost. Perfect Knowledge, or ‘perfect information' is achieved only with free, open, competitive, or unobstructed feedback. Any obstruction to 'iteration' in achieving this equilibrium - due to what may be termed a knowledge monopoly - will produce an incomplete fractal shape, imperfect knowledge, asymmetric information. At some stage in the future, when things calm down, I plan to come back to this entry and update and further explain it: there is just so much to do.